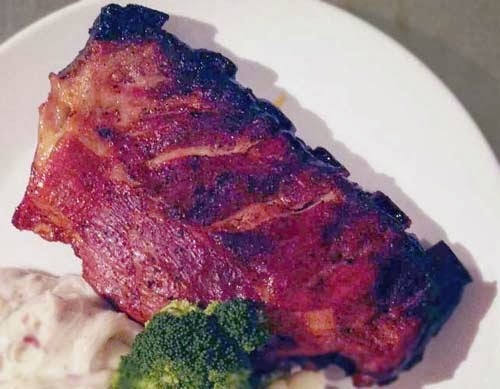 These slow roasted ribs were prepared with a completely made up rub. Surprisingly it's tasty. First, I rubbed salt and pepper on the ribs and pre-cooked them in the oven at 400 deg F for 15 minutes. Let cool a little, then, applied a second rub made up of ingredients below. I went by feel, so I don't have precise measures. Best estimate is 1/4 cup per ingredient depending on how many ribs are being cooked. Then cook in the oven at 225 deg F for 2 hours. Took them out and covered with bbq sauce. Slow cooked for another 8.5 hours while adjusting so that the ribs may cook evenly. Delicious.